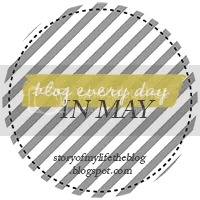 Day 17 of Jenni @ Story of my Life’s #blogeverydayinmay challenge. Both of these photos were taken in Spain in 2009. I don’t remember who took either one, but I truly love them both. 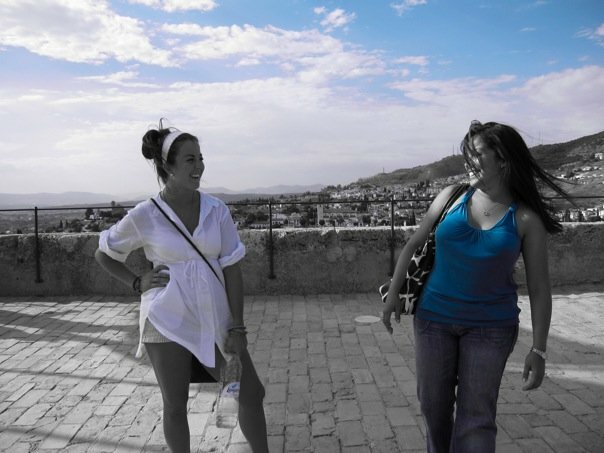 I think living in Spain was one of the most wonderful times in my whole life. If I could take my family and move back, I absolutely would. Top: I was fast asleep on our bus on the way to Madrid. I had curled up into a ball and cuddled up with a teddy bear that had been given to me by a guy I was seeing at the time in the states. Yes, I’m wearing shorts in that photo. I was actually resting at this time. Real sleep. Something I haven’t seen…probably since 2009. Bottom: Me and my roommate, Alex. We had gone visit El Alhambra y El Generalife and were at the top of a tower where the Moors defended their land against the Spanish Inquisition. As we were admiring the beautiful views, someone captured a gorgeous photo of us, genuinely smiling. There’s nothing that says happiness more than this photo.